Though it seems like I’ve moved on from mobile gaming to console, that’s far from the case. I still play tons of mobile games especially since it helps pass the time and it’s just so much easier gaming on mobile when I’m out and about. With that said, I’m always browsing app stores for new and interesting games which is how I came across Missile Escape by Kolibri Studio. This is one of those games that is so simple to play and jump into, but provides a good amount of challenge. 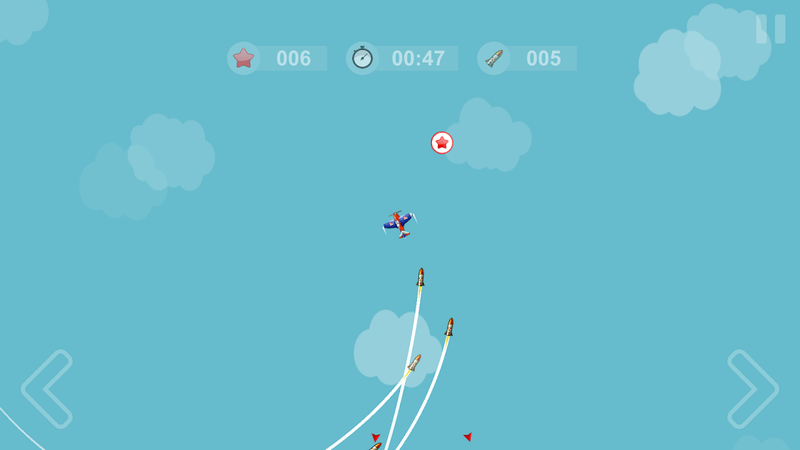 The goal of Missile Escape is to…escape a barrage of missiles. You fly around from a top down view avoiding missiles the home in on you while collecting items that’ll help you survive. Missiles can appear from any direction and follow you around until they either hit you or each other. You just need to dodge them. If you get hit, it is possible to find a repair kit so you can keep going, otherwise, it’s game over. Controls consist of left and right directional changes and that’s it. 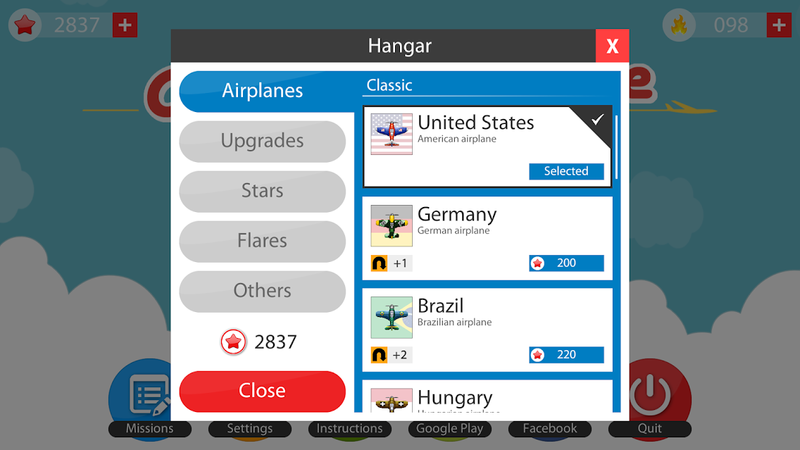 Missile Escape also has incentives for playing, such as upgrades to your plane, different airplanes, and other upgrades. Most require collection of stars, which means you’ll be playing a lot to grind for them. That’s not bad if you play often enough. There are 4 different game modes included in the game. There’s Normal, Fast Normal, Checkpoint, and Fast Checkpoint. The difference really between normal and checkpoint is that one is endless while the other one is time based. For the most part, Missile Escape is a pretty fun and challenging game. Again, it’s really easy to get into, but the challenge keeps things interesting. The only thing kind of annoying is that there is a bit of grind if you want to unlock all the upgrades and planes. You could pay to unlock everything, but I’m not about that life. I like playing for a goal. Overall, not a bad game to check out if you need something to pass the time. 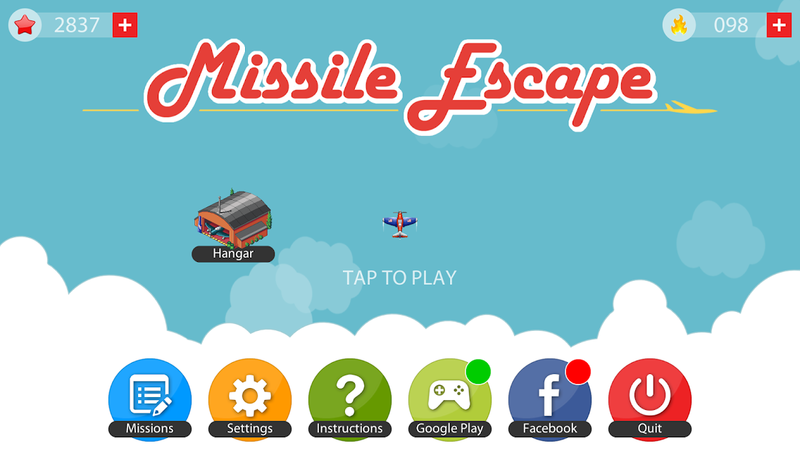 Missile Escape is a simple, fast paced and addictive 2D game where your mission is to dodge all homing missiles that comes towards you with one single objective: shoot you down! 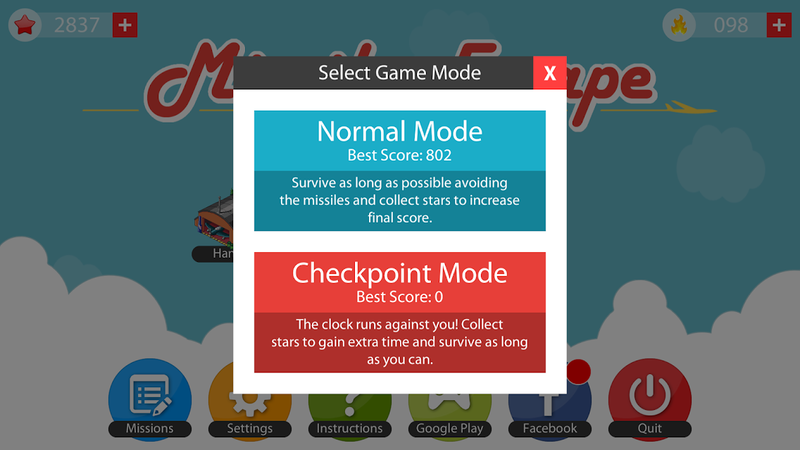 Use the simple control to fly your plane and avoid the missiles. 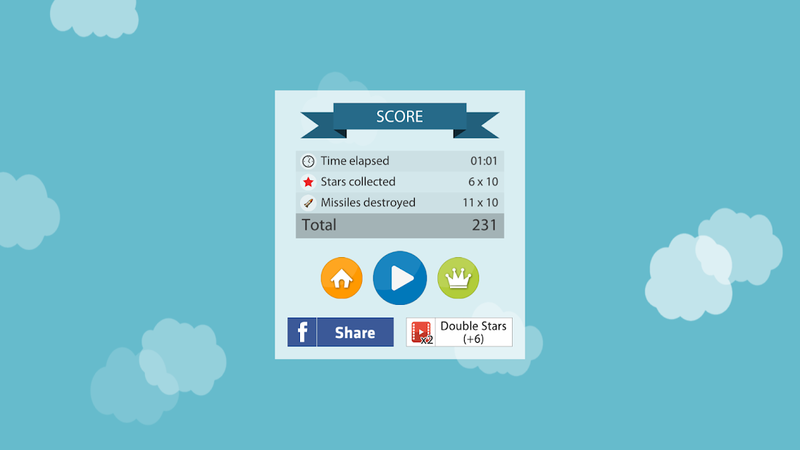 Make them collide with each other and collect stars to increase final score. 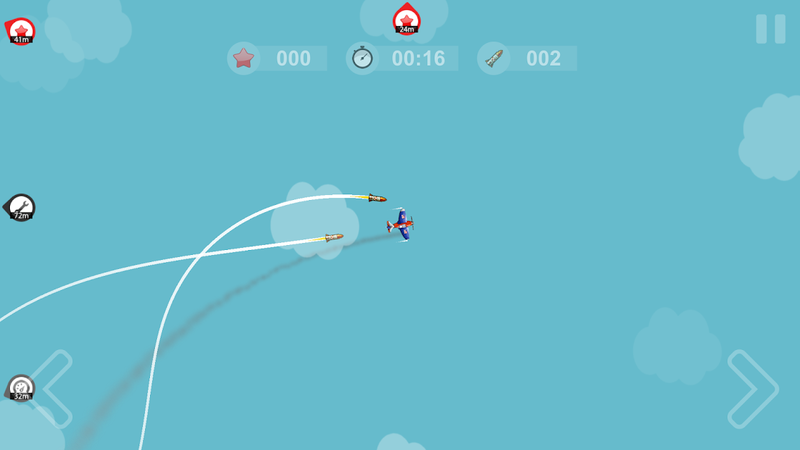 – A pursuer plane will randomly appear to knock you down! Can you defeat him? – Free casual game, supported by ads and in-app purchases. – Now you can test your skills in Fast Mode! Check it out!